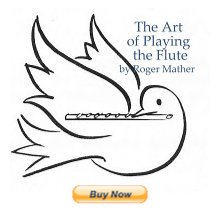 I had a wonderful weekend creating a new episode of my flute radio show. The James Boyk interview will be continued in Part 2, with Fluteloops No. 11, with great flute CD musical excerpts tucked in and around the conversation. In Fluteloops 10 & 11 we discuss recording practise sessions for faster and deeper musical improvements, and the technique of "OUTLINING" to increase rhythmic accuracy when practising, among other great topics. Please help yourself to a free listen of these two ten minute programs above. You will see them all previous Fluteloops linked from the above page in Archives of Past Shows.